Richard P. "Richie" Havens (born January 21, 1941) is an African American folk singer and guitarist. He is best known for his intense, rhythmic guitar style (often in open tunings), soulful covers of pop and folk songs, and his opening performance at the 1969 Woodstock Festival. Born in Brooklyn, Havens was the eldest of nine children. At an early age, he began organizing his neighborhood friends into street corner doo-wop groups and was performing with The McCrea Gospel Singers at 16. At age 20, Havens left Brooklyn, seeking artistic stimulation in Greenwich Village. "I saw the Village as a place to escape to, in order to express yourself," he recalls. "I had first gone there during the Beatnik days of the 1950s to perform poetry, then I drew portraits for two years and stayed up all night listening to folk music in the clubs. It took a while before I thought of picking up a guitar." Havens's reputation as a solo performer soon spread beyond the Village folk circles. After cutting 2 records for Douglas Records, Havens signed on with Bob Dylan's manager Albert Grossman, and landed a record deal with the Verve Forecast label. Verve released Mixed Bag in 1967, which featured tracks like "Handsome Johnny" (co-written by Havens and future Oscar-winning actor Louis Gossett Jr.), "Follow", and a cover of Bob Dylan's "Just Like A Woman". By 1969, he had released five more albums. Something Else Again (1968) became Havens's first album to hit the Billboard chart and also pulled Mixed Bag back onto the charts. Havens' reputation as a live performer earned him widespread notice. His Woodstock appearance proved to be a major turning point in his career. As the festival's first performer, he held the crowd for nearly three hours (in part because he was told to perform a lengthy set because many artists were delayed in reaching the festival location), and was called back for several encores. Having run out of tunes, he improvised a song based on the old spiritual "Motherless Child" that became "Freedom". The subsequent Woodstock movie release helped Havens reach a worldwide audience. He also appeared at the Isle of Wight Festival in late August 1969. Following the success of his Woodstock performance, Richie started his own record label, Stormy Forest, and delivered Stonehenge in 1970. Later that year came Alarm Clock, which yielded the George Harrison penned hit single "Here Comes the Sun", and became Havens's first album to reach Billboard’s Top 30 Chart. Stormy Forest went on to release four more of his own albums: The Great Blind Degree (1971), Live On Stage (1972), Portfolio (1973), and Mixed Bag II (1974). Memorable television appearances included performances on The Ed Sullivan Show and The Tonight Show Starring Johnny Carson. On the latter program, the audience reacted with such enthusiasm that when the applause continued even after the commercial break, Carson asked Havens to return the following night. Havens also branched out into acting during the 1970s. He was featured in the original 1972 stage presentation of The Who's Tommy, and appeared as Othello in the 1974 film Catch My Soul. He also appeared in Greased Lightning alongside Richard Pryor in 1977. In 1987, he landed a role in the Bob Dylan vehicle Hearts of Fire. Increasingly, Havens devoted his energies to educating young people about ecological issues. In the mid-1970s, he co-founded the Northwind Undersea Institute, an oceanographic children’s museum on City Island in the Bronx. That, in turn, led to the creation of The Natural Guard, an organization Richie describes as "a way of helping kids learn that they can have a hands-on role in affecting the environment. Children study the land, water, and air in their own communities and see how they can make positive changes from something as simple as planting a garden in an abandoned lot." During the 1980s and 1990s, Havens continued a world touring schedule and a steady release of albums. The release of 1993’s Resume, The Best Of Richie Havens Rhino collected his late 1960s and early 1970s recordings. In 1982, Havens composed and performed a promotional slogan for NBC's 1982-83 television season entitled, We're NBC, Just Watch Us Now. He also performed slogans for CBS and ABC, and recorded commercials for Amtrak, singing the slogan "There's something about a train that's magic." Havens has also done corporate commercial work for Maxwell House Coffee as well as singing "The Fabric of Our Lives" theme for the cotton industry. In 1993, Havens performed at the inauguration of President Bill Clinton. Among the selections was the "Cotton" song, made famous by a series of television ads in the early 1990s. In 1999, Havens played at the Tibetan Freedom Concert for an audience of more than 100,000. Havens also played a small role as a character named Daze in a 1990 film named Street Hunter starring John Leguizamo. In 2003, the National Music Council awarded Havens the American Eagle Award for his place as part of America’s musical heritage, and for providing "a rare and inspiring voice of eloquence, integrity and social responsibility." Richie Havens at Mira Sound Studios, NYC - Photo courtesy of George Schowerer. 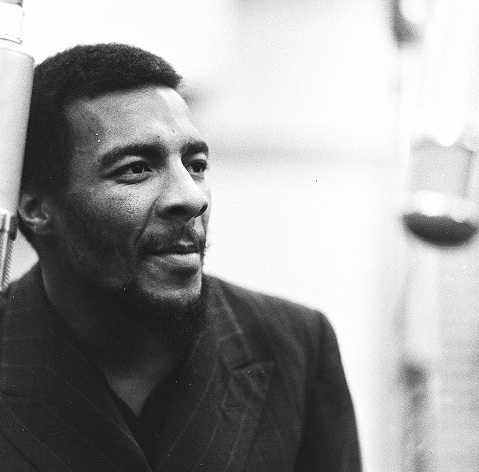 Write about Richard P. "Richie" Havens! Do you have content or pictures, to add, of Richard P. "Richie" Havens? Do you just want to say "Hello!"? Please feel free to Share it, here!